These cool gifts open the mind and lead kids to magical realms and paths of creativity. When a child creates a piece of art, this expands a child's ability to interact with the world around him or her. A wonderful means of building self-expression, communication and a sense of achievement. It not only develops the right side of the brain but also makes the child happy. Introduce toddlers and small kids to art by gifting them finger paint or non-toxic crayons. They may not be able to create anything fine or complex but they will get a thrill of seeing the colors or feeling the sensation of cool paint on their fingers. Students in elementary school and tweens would have finer skills in art. 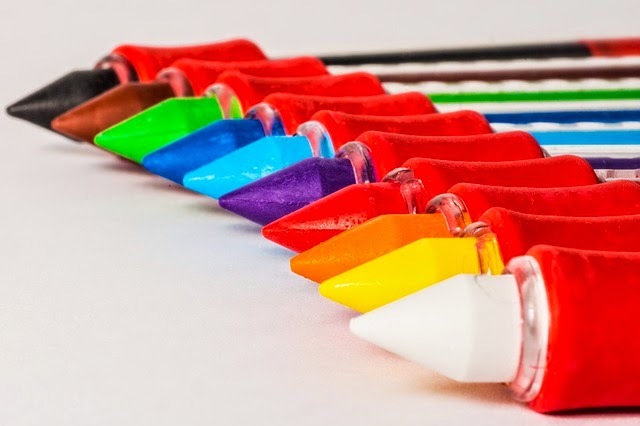 They will enjoy experimenting with art and techniques, so you can go beyond the average paintbox or color pencils while gifting. A children’s easel would be perfect for a budding artist. Look for the ones that come with a blackboard, a white board and also the facility to use rolls of paper. Older children can be gifted specialized art kits like a Figure Drawing Kit with a mannequin and other tools or an Interior Design Studio Kit that encourages creating plans for houses. Books can be a great source of inspiration and education for aspiring artists. Gift books that fetaure the paintings of great artists, coloring books for smaller kids and art technique books for older kids. Art need not be restricted to just painting or drawing. Art can be created with different media and techniques. An Origami kit will give kids hours of enjoyment as they fold the vibrant colored papers to create animals, birds and more. Sand Art Kits, Mosaic Kits, Play Dough and Stamping Kids bring forth new avenues of artistic expression. You can also gift a Graphics Tablet which let them create paintings digitally or the Sensu Brush, a special digital brush that works with drawing and painting apps on the iPhone, iPad, Kindle Fire and other capacitive screens. Digital painting classes that help them grasp the basics to advanced techniques of digital art are a good idea too.